So, I look at my most recent devices... if you except out the little time dallying with the OnePlus One, my last few devices have all been LG (Nexus 4, G2, G3). I think it's a great brand for phones, but that's just me. It's still one of the 'minority' OEMs out there still as I rarely see another LG device (besides a fair number of Nexus 5). I even had TD call the G3 'rare' the other day when talking about support. Well, to help get some early consumer feedback, as well as 'maybe' as a bit of a publicity stunt, it looks like LG wants to give out 4,000 phones to some lucky customers across the globe. This is a much better proposition than what they did for the Korean launch of the G2. Winners will be selected based on a criteria set out in each area. So watch the LG social media presence to find out what's required here. The participants then get the phone for 30 days to carry out some tasks and activities to provide feedback. Now, if we look at the timeline, 30 days wouldn't be in time to provide some of that info before their April 28th event. But still... a chance to play with a device before it hits the markest.. Sweet. Plus... it's an LG. You know, +LG Electronics Canada I think I'm your prime candidate! Want to know what to expect from this flagship? Check out what we already know. 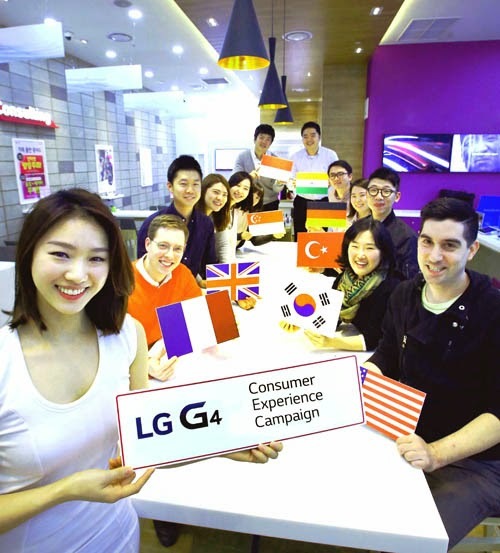 SEOUL, April 8, 2015 — As part of its most ambitious smartphone introduction yet, LG Electronics (LG) will select 4,000 consumers in 15 countries who will “test drive” the all new LG G4 smartphone weeks before its official launch. Kicking off today in Korea, the program will target consumers in the following 14 other markets in the days ahead: Turkey, Indonesia, Singapore, United States, China, India, Brazil, Canada, United Kingdom, France, Germany, Mexico, Japan and Hong Kong.